Versatility and convenience have made virtualization a worldwide trend in the IT sphere. Specifically, the usage of virtual machines has become a daily routine for many companies. The diversity, however, has provoked some VM format conflicts. Pretty much every vendor in this market has developed its own VM on-disk format, thus there are many formats to work with. Besides, with the growth of a virtualization demand, an easy migration from physical into virtual has become a critical question. StarWind V2V Converter allows establishing a safe and reliable exchange between versatile VM formats. In addition, the utility enables fast and safe P2V migration. 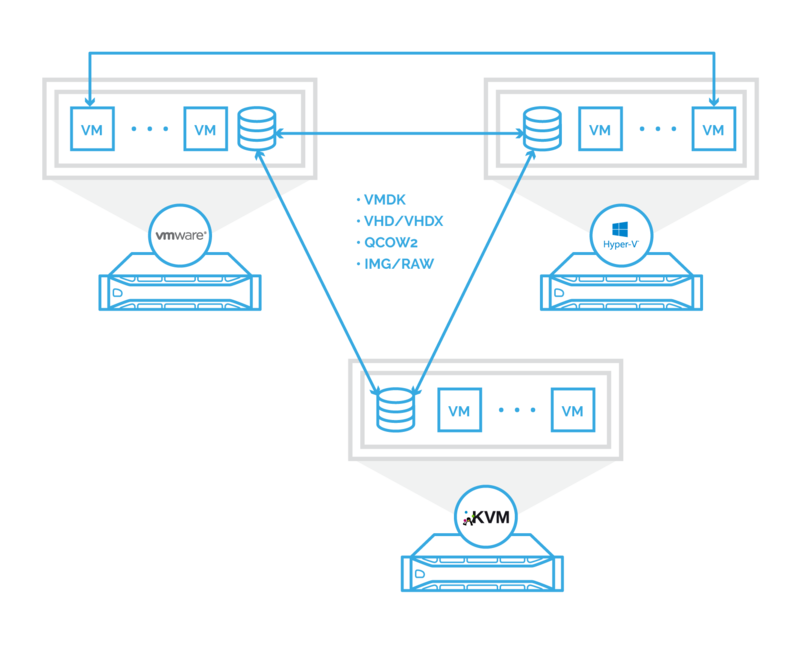 One hypervisor can’t use virtual machines created by another one, as different hypervisors use different VM formats. A good example for that: a company is switching from vSphere to Hyper-V. All VMs must be effectively moved to the new environment. However, it is impossible to achieve without converting the virtual machine into the format of the needed hypervisor. Another case: an enterprise ROBO (Remote Office & Branch Office) solutions may involve different hypervisors in the main office and on remote locations, making it inconvenient to move VMs between them. In addition, when working with different sets of hardware, moved VMs may experience compatibility issues. Having the ability to switch VM formats on demand is essential for any virtual environment. 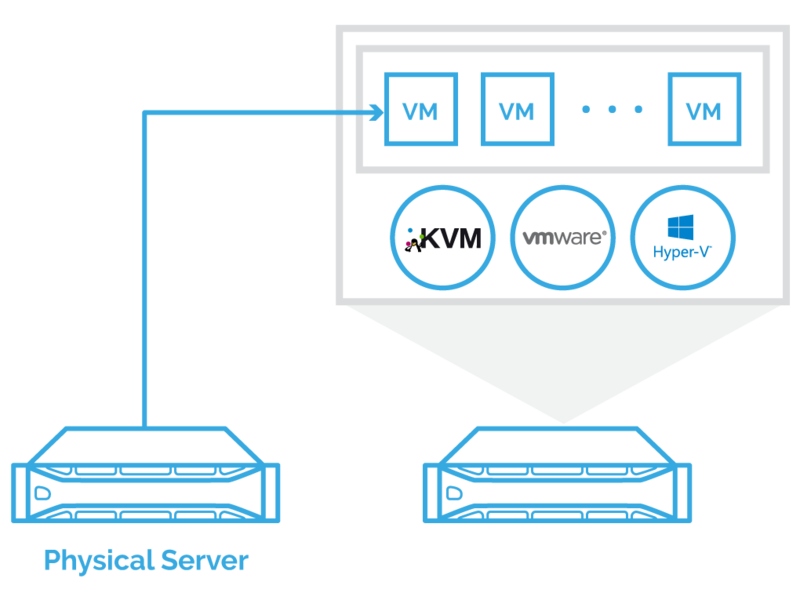 Migrating from a physical to virtual machine can be a complex and time-consuming process, especially in multi-server environments. P2V involves the migration of an operating system (OS), application programs and data from the source hardware to a virtual machine. Most of the existing solutions require time-consuming manual operations on setting up hardware parameters, installing the operating system, and then adding necessary applications to the OS inside the VM. In addition, a rough ride is observed because of the need to solve conversion problems constantly. In the end, everything should be tested thoroughly to eliminate data loss. StarWind V2V Converter transforms virtual machines freely from one format to another. It works with major VM formats, namely VHD/VHDX, VMDK, QCOW2, and StarWind native IMG. Both the source and target VM copies exist simultaneously because the conversion procedure is more like a cloning process than a replacement. This way the chance of data corruption and loss during conversion is completely avoided. Moreover, StarWind V2V Converter basically creates a backup copy of the VMs, making the process even safer. When converting the VM to VHDX format, StarWind V2V Converter enables the activation of Windows Repair Mode. This way the virtual machine will automatically adapt to the given hardware environment and negate any compatibility problems. In comparison to hypervisors’ built-in converters that only work one way (converting to their original VM format), StarWind V2V Converter is much more efficient, because it works both ways, converting any format into another one and back. StarWind V2V Converter enables an easy migration of physical machines to virtual ones on Hyper-V and ESXi servers. Running the utility on the source physical storage, you can easily convert the entire system as is into the virtual machine located on a remote hypervisor server. StarWind V2V Converter allows transforming physical disks and volumes into VMDK, VHDX, QCOW2, and StarWind native IMG. It should also be noted that StarWind V2V Converter preserves data consistency by using VSS snapshots while reading disk data from the live machine. StarWind V2V Converter helps to take advantage of the VM formats diversity. It allows converting VMs from one format to another, basically “cloning” VMs and keeping the original copy intact at the same time. The solution supports a variety of VM formats to convert them one way and back in a safe and reliable method. Moreover, the utility supports P2V migration to ensure easy and safe copying of the physical system onto a virtual platform.